Is it ok for the baby to sleep on the side? 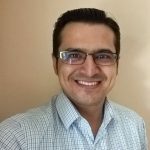 How to prevent your baby from side-sleeping? When can babies sleep on their side? What if the baby rolls to the side in sleep? “Sleep to the left.” This is what experts suggest when you are pregnant, as you can pass on the nutrients to your baby better in this position. But after the baby comes out, can he sleep on the side – left or right? Babies spend a lot of time sleeping. 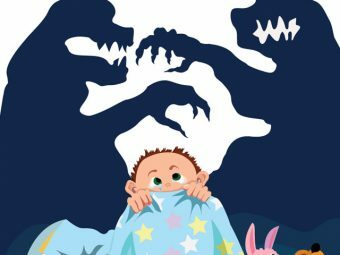 As a mother, you may have observed several patterns about your baby’s sleep, but one thing that strikes you the most is his preference to sleep on the side. This trait seems quite harmless – after all, the grown-ups do it too. But babies are different and years away from adulthood, which means sleeping on one side can have repercussions for them. In this post, MomJunction explains the various conditions associated with a baby sleeping on side and how it can hamper his growth. We also recommend some precautions to prevent your baby from rolling onto his side. Is It Safe For The Baby To Sleep On One Side? The medical term for harlequin color change is unilateral erythema, and it affects nearly 10% of newborn babies (1). It is usually seen in the first week of birth. 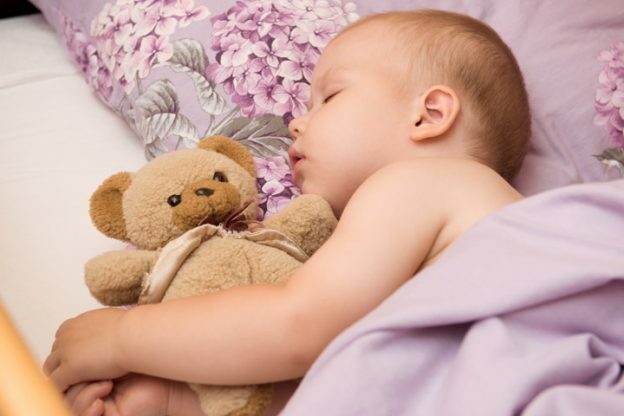 In this condition, the sleeping side of the infant’s body turns pink or red with a clear demarcation running through the central axis of the baby’s body. This means the baby’s body will be half red and half normal-colored. The color will change spontaneously when the infant sleeps on the side for hours. But the condition is completely benign and does not cause any lasting health issues. Switching the position of the baby makes the red color fade away within minutes. Medical experts do not know the precise reason for this phenomenon, but they suspect it occurs due to the immature blood vessels in the skin. It may also be associated with polycythemia (a dark red baby due to the increased red blood cells in the body). The color indicates a possible accumulation of red blood cells, due to gravity, among the cutaneous blood vessels (blood vessels close to the skin). This could happen due to the immature blood vessels in babies. Treatment: Harlequin color change is a harmless condition and disappears on its own. The bones of a baby’s skull remain soft and malleable to allow the skull expand at the same rate as the brain. The soft bones naturally pose a risk of developing flatheads. Flathead happens when the baby’s head is placed in a single position repeatedly to the extent that pressure builds up at a single spot on the skull. The bones of the skull at that point sink and go concave or flatten. It is basically a skeletal anomaly but can lead to stunted brain growth due to less cranial space for the brain to expand. This may hamper the baby’s cognitive abilities later in life. The medical term for a flathead is plagiocephaly. Flatheads also occur if the baby sleeps straight but puts his head to the side (2), and due to prolonged sleeping on one side. A neck condition called torticollis could also lead to flatheads. A more rare form of plagiocephaly is due to abnormal bone formation in the skull, which has to be surgically corrected. Treatment: When diagnosed on time, flatheads can be corrected with the use of head braces called baby helmets since the baby’s skull bones are still soft enough to reposition themselves. The head braces are prescribed by the doctor and made by certified medical manufacturers or hospitals. If the baby’s condition is not severe, then the doctor will simply recommend repositioning your baby’s sleeping side to rectify the flathead. Torticollis is an abnormal tilting of the neck in one direction due to the severe shortening of the sternocleidomastoid muscle that connects the lateral side of the head to the clavicle. Torticollis can occur due to several reasons, one of them being the poor positioning of the baby while sleeping (3). 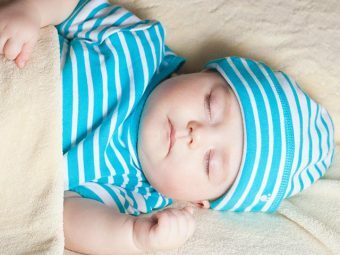 Since babies’ muscles are tender and growing, the sternocleidomastoid muscle may shorten due to repeated sleeping on the side or turning the head to the side while sleeping on the back. This condition will not just affect the growth of the muscle but also cause abnormal bone growth. 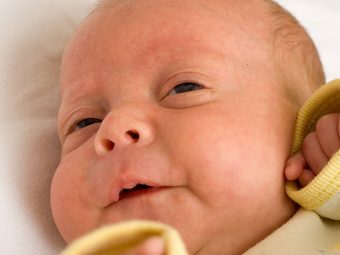 Babies with torticollis turn their head side-to-side while sleeping. Treatment: Physical therapy will help release the stiffness in the muscles. The doctor may recommend wearing a recovery harness that is wrapped around the baby’s body with a soft pad near the neck. This pad pushes the head in the opposite direction, gradually bringing back the neck to its normal position. The doctor will also give you some safe sleeping techniques for the baby’s condition to improve. Sleeping on the side creates torsion in the windpipe (trachea) that can make breathing difficult for the baby. Also, it can result in the accumulation of regurgitated food around the tracheal opening, posing a choking hazard. This also happens during tummy sleeping – a position to which your baby may topple during side-sleeping. These positions increase the risk of sudden infant death syndrome (SIDS) (4). Treatment: Do not allow the infant to sleep on his side to prevent choking and SIDS. 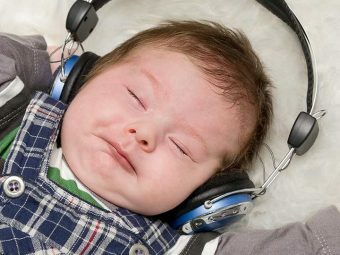 These repercussions, some long-term and some temporary, call for the need to prevent your baby from sleeping sideways. The simplest precaution is to place your baby on his back when putting him to sleep in his crib or cradle. Research has proven that the back position is the best way of preventing fatal medical conditions such as SIDS (5). This position also reduces upper respiratory infections. Do not place support structures on the crib or the bed of the baby. These structures could be anything from home pillows to specially-made crib bumpers that have no proven record to provide any benefit or safety to the sleeping baby. Certain support structures like pillows may even cause the baby to roll over to the side in case he moves during his sleep. Sleep positioners are not safe for babies. In fact, some of them are alarmingly designed to ensure that the baby sleeps on the side. You must never use such positioners or sleep wedges. You must also avoid sleep positioners that help the baby to sleep on the back. Sleep positioners have been categorically proven to pose a suffocation hazard (6). If you swaddle your baby you automatically increase the risk of him rolling over to the side. This is because swaddling creates a smooth cylindrical surface around the baby that makes it easy for him to roll over. In fact, swaddling could increase the risk of SIDS (7). If your baby sleeps on his back, then switch the position of his head every alternate night. For example, if he sleeps on his back with his head rested a bit towards the left side then the next night gently shift his head to the right side. This will help prevent the development of flatheads. Also, put your baby to sleep in a separate crib or cradle in the same room where you sleep. Do not put unnecessary bedding or padding in the crib that will make the baby slip into side-sleeping position. In the initial months, the babies do not move much. But once their mobility improves, it could be difficult for you to make him sleep on the back. So, for how long should you make an effort to make him sleep straight? Babies should be made to sleep on his back till they complete 12 months, after which he can sleep on his side (8). By this age, your baby’s esophagus, trachea and overall breathing mechanism are fairly developed. Thus, it is now safe for him to sleep on his side. What If The Baby Rolls To Side In Sleep? At around six months of age, your baby could roll over to his tummy or the side from the back position. Rolling over is a natural part of your baby’s development. If your baby rolls over to the tummy or his side on his own, then you can let him sleep in that position. Generally, a baby will get on to the side or stomach sleeping position only when his muscles are strong enough to let him do so. If he can roll over on his own then it is an indicator that the baby has stronger internal organs and is at a lower risk of choking himself during sleep. However, if your baby rolls over before he reaches six months, then you must put him in the back position again. Until the age of 12 months, make your baby begin his sleep on the back position. If he likes to sleep on the side, then you need to change his habit gradually. Putting him to sleep in the back position regularly can train him to sleep on his back. Remember to make your baby sleep within your line of sight. What is your baby’s favorite sleep position? Leave us a comment below if you would like to share something with us.